It makes more sense if you look at it from a zombie point of view. What is “West Country” sauce? So…zombie food = gay man’s balls? Nice! It might explain the Western Country Sauce. 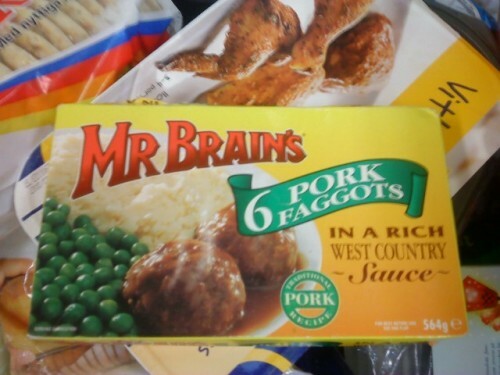 shouldnt this say porked faggots? Those poor kids. First they’re born into the “Doody” family, and then this. if you lived in San Francisco, you would know this is a common shelf item….